So, we give you all 3. We fill in the gaps that others simply don’t. Monthly Updates to your 3 credit scores and reports from all 3 bureaus show you where you stand. Daily Monitoring alerts you to suspicious activity that may pose a threat to your credit and identity. 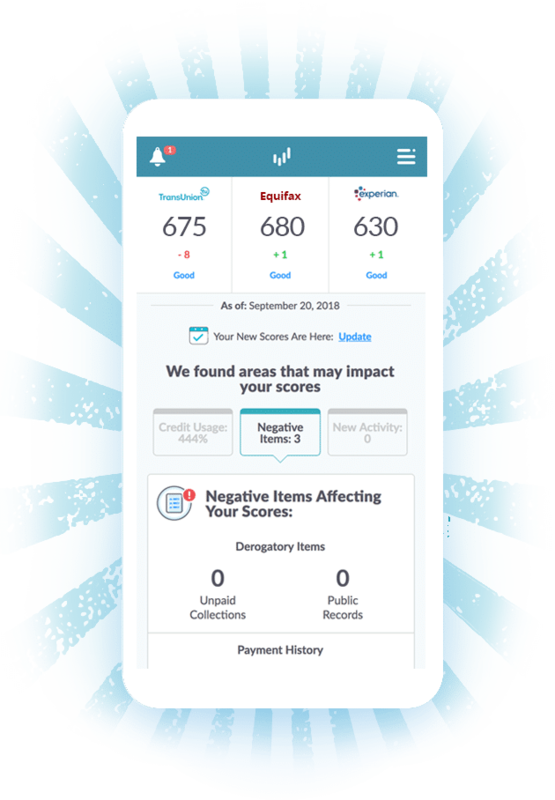 Credit Insights pinpoint what’s most affecting your scores, so you can make smarter decisions. With us, there’s no guesswork. Personal Credit Specialists will help you make sense of your credit, every time you call or chat online. All your information is protected with 128-bit encryption to ensure your data is not intercepted by third parties. Will checking my credit hurt my scores? Not at all. In fact, you should regularly check your credit reports from TransUnion, Equifax and Experian to be sure there are no score-lowering errors or possible fraud. We make it easy to see monthly updates to your credit scores and review your reports from all three credit bureaus. Why do I need all three scores, when other companies only offer one or two? Lenders don’t all use the same credit bureau to check your credit – and your credit scores may not all be the same. 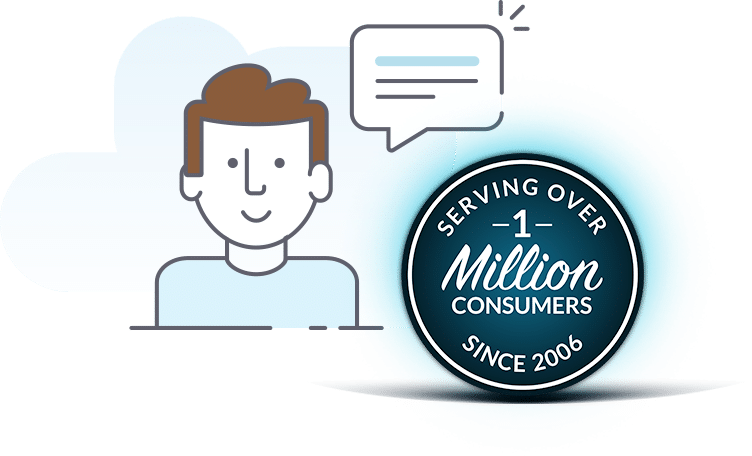 We provide your scores from TransUnion, Equifax and Experian so you know where you stand no matter which bureau lenders use! What if I see an error or fraud on my credit report? File a dispute! Errors or fraud can lower your credit scores and cost you money. Our Dispute Center provides a step-by-step guide to help you navigate the process of filing a dispute with all three credit bureaus. We monitor your credit report, daily, and notify you with a credit alert when a change or suspicious activity is detected that could pose a threat to your credit scores or be a red flag for possible identity theft.